You may think a dog bowl is a dog bowl, but all are not equal! Plastic, ceramic or stainless steel? Do you have a tall dog breed? Is your pup a messy eater? Do they eat too fast? 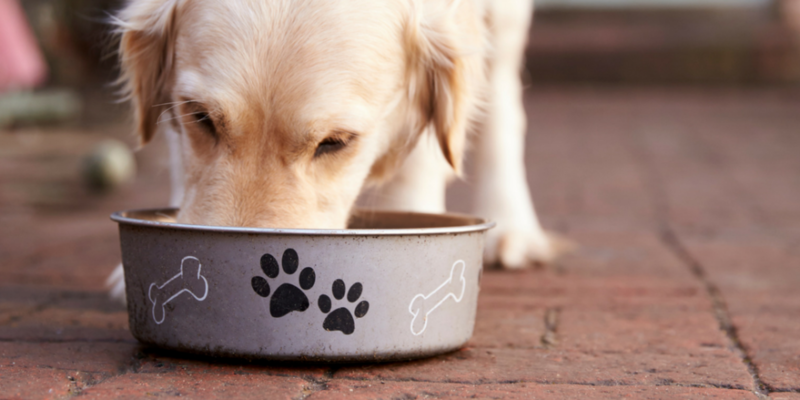 All of these questions should be taken into consideration when choosing the right dog bowl. I will be 100% transparent and say I ONLY use stainless steel dog bowls; they do not pose any risks, they last longer, and most are made from recycled products. Ceramic- Ceramic bowls are okay but they can get chipped over time and bacteria can grow in these areas. If they’re chipped badly enough, they can also cause harm to your pups tongue and mouth. Plastic= No. They wear out easily and bacteria tends to harbor in those little scratches making it hard to really disinfect. Lastly, if you are a responsible dog owner you will have to replace a plastic bowl way more frequently due to the durability. Just buy Stainless Steel. Moving on. I have used the URPOWER Dog Bowls for a couple years now for both my dogs (Moose was just upgraded to a fancy elevated bowl- see below for more info). I have wood floors and my dogs bowls would literally slide all over the place when they were eating. I bought a couple different mats in the past but nothing kept the bowl in place; my dog would start in the kitchen and end in the living room. It was entertaining nonetheless. Then I discovered this contraption and BOOM my dogs bowls did not move. I especially love this because everything is dishwasher safe (yes, I am lazy sometimes) and the silicon mat is extremely easy to clean. I will note the bowls are deceivingly small but they are deep- I have no problem fitting 3.5 cups of dry kibble into a bowl. Bonus- It is very affordable! If you do not need bowls that stay in place then I highly recommend the Loving Pets Bella Bowl– vet recommended, has a removable silicon base, dishwasher safe and has a variety of fun colors! I mainly use this for a water bowl outside in the summer because it is so big. If you are looking for a biodegradable, eco-friendly and disposable bowl check out the Kinn Klean Bowl. 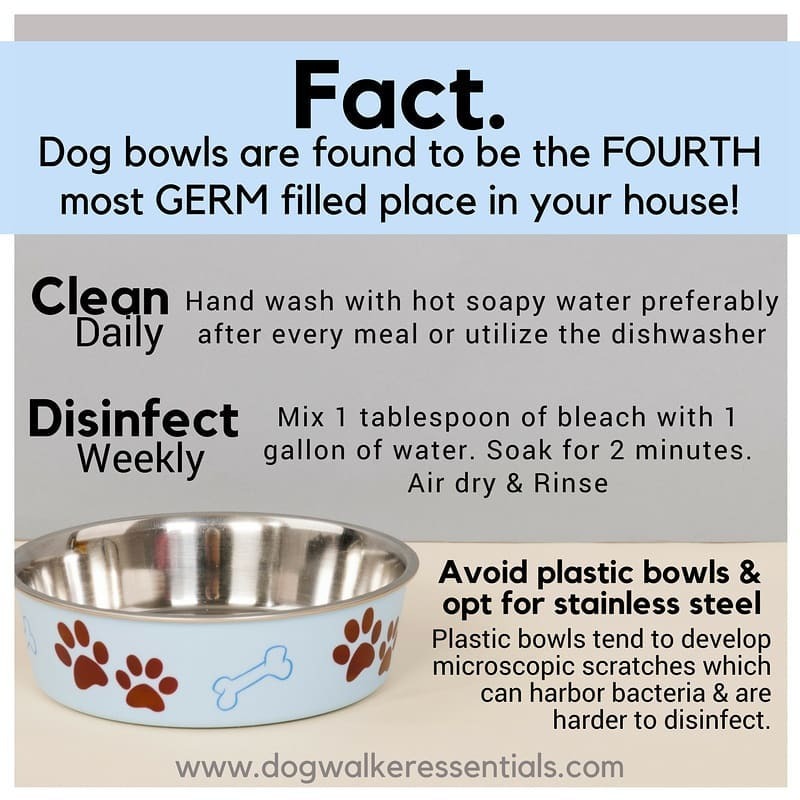 Many of my raw feeder clients use these to reduce the risk of bacteria lingering in their dogs bowl. They even have an awesome stainless steel holder. First, why an elevated bowl? They provide ease of access to food and water which can help facilitate movement of food when traveling from the mouth to the stomach; placing less strain on the dog’s neck, hips, shoulders and joints, which promotes better posture. I recently purchased the Pawfect Pets Elevated Bowl for my Shepherd on the recommendation of my trainer and now I am considering the little one for my poodle mainly because they look so nice! The bowls are extremely easy to clean and dishwasher safe. The wood stands are easy to clean- I take a Clorox disinfectant wipe to them every couple days and let them air dry. Yes, I know I know I do not like plastic BUT a client of mine uses the Bergan and it is pretty nice and easy to clean. The good news is the plastic is BPA free and there are still stainless steel bowls included. Something the Pawfect lacks is that it is not adjustable where this stand is; allowing you to use it through all stages of the pets growth. I personally, still like the look of the Pawfect more but that’s is just my preference. First, why use a ridge bowl? Flat faced breeds tend to have a difficult time eating out of a standard flat-bottomed dog bowl. You will want to look for a bowl that features a tilted bottom and an integrated smooth-sided ridge, so the dog can push the food up with their nose and eat it at a more natural 45 degree angle. This gives the dog the opportunity to take smaller bites and slows him or her down. The best bowl for this is the Enhanced Pet Bowl; stainless steel, vet recommended, has a skid stopper, and is dishwasher safe. First, why use a slow feeder? They limit the amount of food your pet can get with every bite. Eager eaters often ingest air and this can lead to bloat or the less scary flatulence. If you have a pup who scarfs their food then I highly recommend the Outward Hound Fun Feeder . Yes it is plastic- unfortunately the available stainless steel options are less then desirable. This is the one time I would personally make an exception because most of my clients swear by this brand. The good news, it is dishwasher safe and relatively easy to hand wash. Bonus: Slow feeders really stimulate the dogs brain, too! Sometimes it is good to switch it up; some dogs will get bored with the same slow feeder bowl and I have a couple clients who will change it up and use the Northmate Feeder every once and awhile. This feeder is dishwasher safe and easy to clean. The only downfall is I find the food falls out onto the sides making a bit of a mess. We all know that one dog that is just a slobbery mess; foaming at the mouth during dinner time or they are drinking with water overflowing out of their mouth all over the floor (there is nothing worse than stepping in dog water wearing socks) . The Neater Feeder is a dream for owners who have messy eaters or drinkers. This is a great product because it is elevated, has stainless steel bowls, easy to clean, and catches most of the spillage. My only complaint is I find owners do not clean it frequently enough and the let the excess water sit in the reservoir to long= gross. Yes, these exist! Full transparency they are pricey but I figured I would include them because I am intrigued and want to share my fascination. I have one, yes one client who has the PetSafe Automatic Feeder and this little machine dispenses 1/2 cup of food twice a day. Their pup has been conditioned to wait by the bowl which is pretty amazing. I like that it creates structure for the dog and the bowl is stainless steel. **I do not recommend automatic water feeders= people do not clean them as often as they should. If you are an avid traveler or hiker then I recommend purchasing the Comsun Dog Bowls. They are portable, BPA free collapsible, durable, reusable and easy to clean. Bonus: They are extremely cheap! I have mentioned the Overland Travel Bag in previous posts: sorry, I am not sorry. I love this thing. I visit my parents over the weekends/ holidays and I hated having to pack a bag for my dogs. Then I discovered the Overland Bag and I was forever changed; all I would have to do is put food in the containers and I was all set. It was nice to have a “go” bag for my dogs, it was one less thing I needed to worry about.